The weather outside is frightful, but the fire is so delightful! This is the first house that we have a fireplace in. We thought that it would be easy this year to make our house look like Christmas, but it is turning out to be a bit harder than we thought. Maybe it's because our house is twice as large as our old one, so all of our decorations are spread out, and we don't have the concentration of Christmas spirit that we had last year. It could also be that we haven't put up any Christmas lights yet and we are passing on buying a tree since we will be gone for the week of Christmas. This all works out since we are minimalists anyway. Here are most of the decorations that we have up so far. We might throw up some lights, but besides that, I think this is going to be it. Here is my olivewood creche that I got in Israel. I think it's beautiful, but I should have been more on the ball in my bargaining for it. I figured out later that Mike on Via Dolorosa in the old city of Jerusalem added about 90 shekels to the price in his conversion from shekels to dollars. In the future I know to haggle in the currency that I will be paying in. Here are the decorations that we have so far around our fireplace. All we need now is a fire. 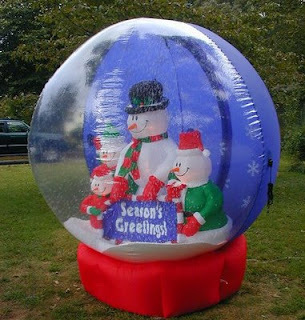 Todd is trying to convince me to get a giant inflatable snow globe or a singing neon "Merry Christmas" sign for the living room, but those things are super tacky. Note from Todd: Imagine how sweet these would look right above and right next to our fireplace! 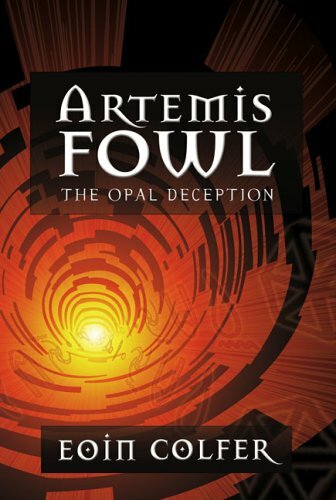 We are currently reading Artemis Fowl: The Opal Deception by Eoin Colfer. This is the fourth book in the Artemis Fowl series. This series is about a boy genius whose life of crime brings him into contact with the technologically advanced civilization of fairies and magical creatures living beneath the surface of the earth. His association with fairies teaches him how to relate to other people, even if there isn't anyone else as smart as him. Todd's take on this book: It's pretty childish, fairies and stuff, but it's a pretty good book if you just want to jump into a story and you don't care about a sophisticated story line. Savannah's take: This is a fun read, excellent for reading out loud because the story moves fast. I've enjoyed the whole series so far. I hope they aren't really going to ruin it by turning it into a movie. There are only two books left in this series for us to read, so we're open to suggestions for our next book. Hello, folks. Welcome to our new blog. Yes, we are starting a new blog, even though we were horrible failures at updating our old ones. Because I am married to Todd, google cannot invent, purchase, or collaborate on an internet project that we do not participate in. This is just the latest. As I write this, we are listening to songs on our youtube playlist, reading google news feed, waiting for our grandcentral (powered by google) phone to ring, and updating our Christmas list in google docs. Todd has been trying to get us to convert to blogger for ages, but I have resisted since I am so bad at keeping up on my existing blog. Incidentally, I am supposed to encourage all of you to add our new blog to your google reader so that you can have up-to-the-second updates on our lives. This post is taking forever to write because, in the spirit of having the day off from school, today we are experimenting with something we saw on the discovery channel and putting our keyboard through the dishwasher. This means that I'm typing on our ergonomic keyboard, which I'm not used to, maybe forever. Anyway, welcome to the blog. and Happy Thanksgiving, everyone!